Bournemouth travel to the American Express Community Stadium on Saturday to face Brighton looking to put their poor away form behind them. 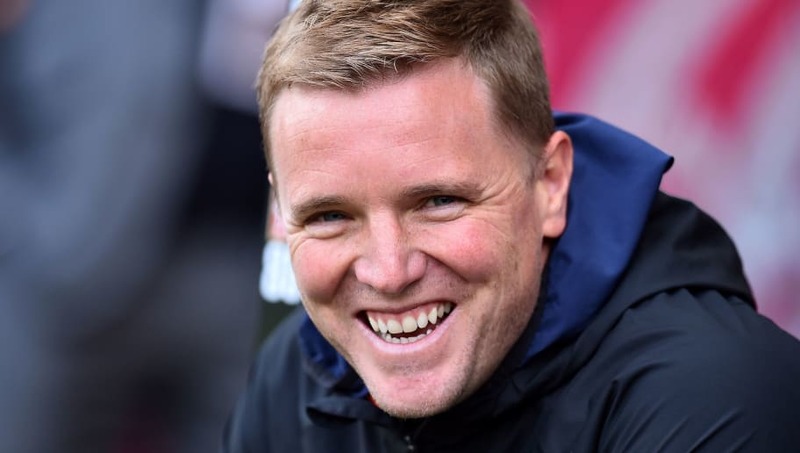 Eddie Howe's side have won just four of their 16 away games this season, a run of form that has ended their early season hopes of reaching Europe. The Cherries have suffered their fair share of injuries, especially in defence, and will most likely look to re-enforce their small squad in the summer. ​Asmir Begovic (GK) - The personable Bosnian has not had his best season and has only just regained his starting spot back 39-year-old Artur Boruc. Made two mistakes last weekend against ​Burnley and this has led to ​rumours linking ​Bournemouth with a move for Stoke's Jack Butland. Nathaniel Clyne (RB) - The ​Liverpool loanee is still a top quality player despite his injury woes on Merseyside. Has cemented his place in the team thanks to Simon Francis' long-term injury. Nathan Ake (CB) - A very talented young defender who has shown himself to be a strong leader in this Bournemouth side. He could attract attention from bigger clubs in the summer with many top sides looking for reinforcements. Chris Mepham (CB) - Earned a move to the Premier League after impressing at Brentford, but his arrival has coincided with the Cherries' poor run of form. Will hope for slightly better protection from his midfield as he looks to build a partnership with Ake. Adam Smith (LB) - Smith will continue in an unfamiliar left back role, with both Diego Rico and Charlie Daniels out injured. The Spurs academy graduate has played over 150 games for the Cherries since joining in 2014. David Brooks (RM) - The Welshman has been one of the signings of the season after joining for around £11m from Sheffield United. With six goals and four assists, he has added a new variety to Bournemouth's attack and is creative spark will be relied upon to carve out chances. Jefferson Lerma (CM) - One of Bournemouth's most consistent passers and a regular for most of the season. Can be slightly overrun against three-man midfields away from home though. Dan Gosling (CM) - Often criticised by Bournemouth fans, but has proven to be a useful and diligent utility man for a number of years. Will continue in the absence of Lewis Cook and Andrew Surman. Ryan Fraser (LM) - Has been one of the standout performers for Eddie Howe's side, leading to speculation that he may depart for a bigger club this summer. Will be a prominent threat if given the opportunity to get on the ball. Callum Wilson (FW) - Has score 11 goals up top in an injury disrupted campaign, earning himself international recognition in the process. Has the pace to terrify any defence, and will look to expose Lewis Dunk and Shane Duffy's deficiencies in this department.